One thing we frequently run into are business owners who think a website is not needed for their industry. In the wise words of Max Elman, the founder of Razorfrog Web Design: “No matter what type of business you run, if you have customers, it's necessary to have some sort of information online, at least a page describing who you are and offering contact information. It's essential to have this information indexed and shown to those looking for you.” AdWeek states that 81% of shoppers conduct online research before making a purchase. If you are nowhere to be found online, then consumers are not finding out any information about your business or buying from you. Since about 80% of people use a smartphone, having a site that is mobile-friendly and provides the user with a virtual experience is more important than ever. According to a recent study, 57% of mobile users will not recommend a business with a poorly designed mobile site to others. There are many great tools for building your own site. So, why should your business invest in having a professional-built website? 1). Credibility. Websites gain a business credibility because it shows users there is actual information about the business and that it exists. 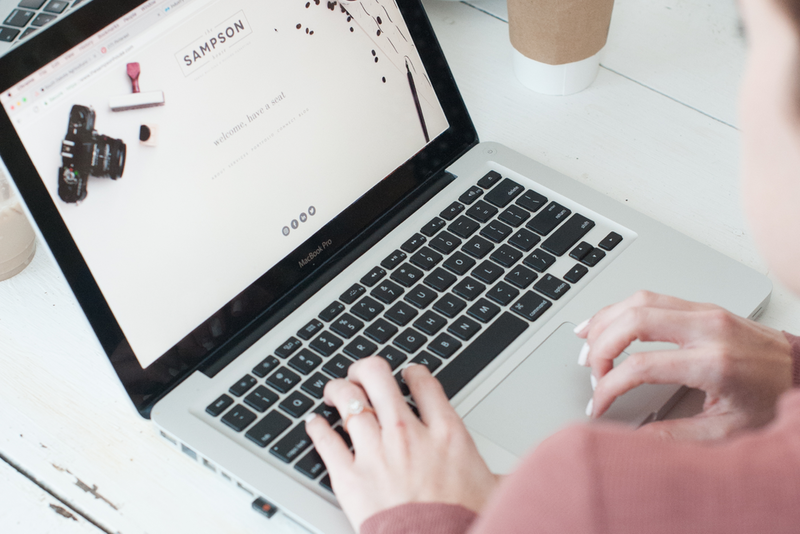 Simply put, having a website that fits your brand, is user-friendly, up-to-date, and is visually appealing are what consumers search for when deciding if your online business is credible. This is especially important if your sales are online-based. Having a website that looks and runs professionally also gives consumers the confidence to place an order on your website. We make sure a business's website is credible by researching the specific industry the business is in to ensure the layout, design and strategy are all appropriate and speak to target markets to gain their trust. 2). Representation. Does your current website do a phenomenal job representing your business? Do the graphics, information, and photos exactly describe who you are? If not, you need a website that virtually represents you as a business because this is often a customer's first impression of you. When we develop professional websites for clients, we make sure the content on the website is accurate, branded, and represents the business in the best way possible. 3). Information. Think of yourself as a consumer. How frustrating is it when you are searching for information on a business and cannot find it anywhere?! Having a website is typically the first thing an individual wants to see when searching for your business because they are looking for your information. Is it a possibility you may be losing out on potential prospects because you don’t have a website? How are people finding your phone number? Your address? What you do? A portfolio of your work? If you aren’t providing your customer with the information and resources they are searching for and your competitors are, then they will go to the competition. When creating a website, we research what information is best to include and in what layout to gain your business the best results. If you have information that changes constantly, we can easily keep your website up-to-date. 4). Reach. With our search engine optimization capabilities, we have the tools to make your professional website Google-approved and land on Google’s first page of results when someone searches keywords specific to your business. This helps your business show up in more searches and expands your reach to a wider pool of prospects. If your business sells online, this gives you the potential to have customers all over the world. Let us take care of building a website while you focus on your business. Click on an image below to view professional websites we have built for clients. Is your business in need of a website, a refresh, or do you simply have questions? We’d love to meet with you and learn how we can help. Get in touch with us at contact@thesampsonhouse.com + let's chat!